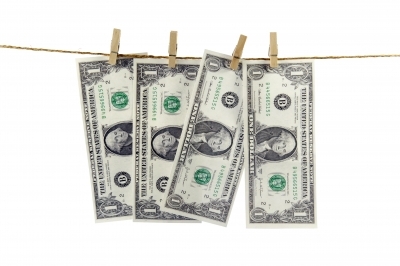 US regulators: To charge JP Morgan with failure to prevent money-laundering? US regulators are reportedly expected to charge America’s biggest bank JP Morgan Chase & Co with failure to prevent money-laundering. ­Office of the Comptroller of the Currency’s (OCC’s), part of the Treasury Department, asked JP Morgan to review its procedures and past transactions in order to find weaknesses in the lender’s controlling systems, the Wall Street Journal reported. It isn’t the first time the US authorities are probing JP Morgan. Investigators are also examining a multibillion dollar trading loss within the company’s Chief Investment Office. In a separate case the regulators are trying to find out whether a JP Morgan energy unit rigged markets in California and how the bank’s Bear Stearns unit packaged and sold home loans to investors before the financial crisis, the paper said. With charges from the OCC, JP Morgan follows world major banks Standard Chartered, Citigroup and HSBC, suspected of money-laundering. Earlier the OCC ordered Citigroup to improve its anti-money-laundering systems after the company examined it and revealed some weaknesses in the deposit unit. In 2010, HSBC’s unit had to improve risk-management after an investigation found it was inadequate. Meanwhile, regulators recently delivered messages to more than a dozen of the nation’s major lenders, warning of more public-enforcement actions and fines for failing to fortify against money-laundering procedures or dealing with sanctioned countries, the WSJ said. This entry was posted in Finance and Economics, Justice and tagged JP Morgan, money laundering, OCC, probe by cnlib. Bookmark the permalink.